Sitting very close to nature, Bratislava is a fascinating and different city break destination. The river Danube winds its way through the capital of Slovakia, accompanied by bike tracks, and footpaths. Only ten minutes out of the city via train and you're surrounded by dense forest - the vineyards and ski resorts are also only moments away. The 18th Century buildings that line the narrow streets of the old town Stary Mesto, are something that have to be seen to be truly appreciated, and the boutique cafés can be enjoyed at any time of the day, with very reasonable prices. The city's castle overlooks a wide area, reminding visitors of Bratislava's interesting medieval history. The city also has one of Eastern Europe's most revered modern art areas, with architecture from the socialist era that is a stark, but fascinating, contrast to the older surrounding buildings. 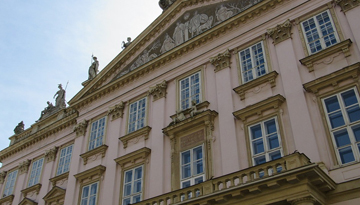 Bratislava has some wonderful converted old apartments that can be rented, as well as a modicum of museums art galleries, live music venues, night clubs, parks, sporting arenas and many other tourist attractions to keep you and your travelling companions entertained. Expedia offers flight tickets to Bratislava from London Stansted at just £54.78 per person - return. 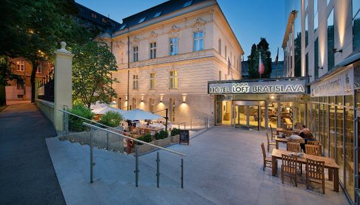 Just stay 2 or 3 nights & save up to 20% at Loft Hotel Bratislava - Available all days with 5 star stay. 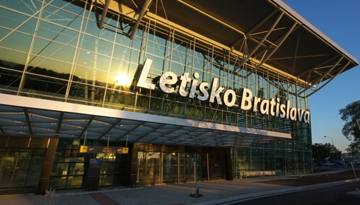 Fly from London - Bratislava & Stay for 4 nights with 5 star accommodation. All Inclusive.